I'm a lifer! 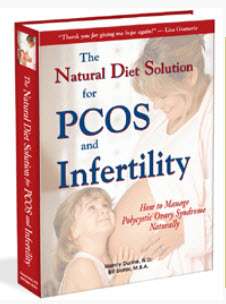 I'm 43 years old and have known I have PCOS since before my 16th birthday. Irregular periods, weight gain, excess hair on my face and RADICAL mood swings were my norm for almost the past 30 years. I realize I was fortunate to have been diagnosed at such a young age, but it also means that I've been on birth control pills for almost that entire time! 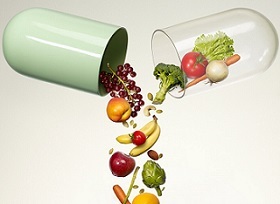 I've also experienced extreme responses to medications that "normal" people don't have. 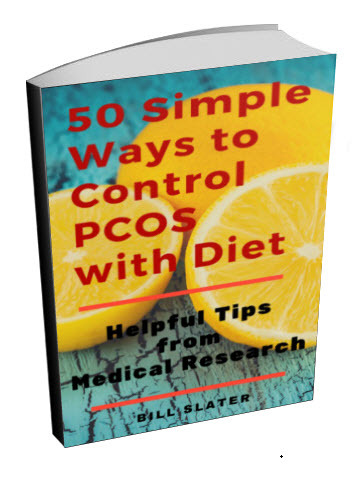 I've been told by many doctors in the past that medication was the only way to control PCOS. I was involved with an endocrinologist when researchers first started to talk about Glucophage as a possible treatment. Yes, I tried it, but it was hard to be compliant. It didn't make me feel well, and the digestive side-effects weren't too appealing for a 20-something girl. When I married in my 20s I wanted to start trying to have a child right away. I did it all and managed to get pregnant on injections after 3 years of trying. My daughter is 12 now and a miracle and joy to have. But she's my only child. I would have loved to have more, but the strain was more than my husband and I were willing to go through again. We were worried about my health from the heavy drugs being used. We were worried about the financial strain too. And quite frankly, trying was so stressful, it was hard on our marriage. I had pre-eclampsia while pregnant and was in danger at the time of delivery. I was pretty off-balance hormonally after the pregnancy, which made me hard to live with. I love my daughter to death and she is an extremely intelligent and happy child. But, she has had various illnesses throughout her childhood, all seemingly unrelated -- chronic sinus infections, a response to strep that led to cellulitis of the feet more than once, bone stress fractures, allergy to milk and lactose intolerance, just to name a few conditions. We took her for allergy testing and she tested off the charts for tree allergies, identifying her as a prime candidate for weekly allergy shots. She was on 11 different medications in 2005-2006. She had intermittent strabismus all her life. Her vision degraded 4 times in less than 2 years, and her prescription kept getting stronger. Her opthamologist suggested she might have a gluten allergy causing her immune problems as well as eye problems. My husband and I took her off all wheat and gluten. Her problems started disappearing almost immediately. My family diet changed with my daughter's. No more bread made from wheat! I was eating like her --more potatoes, rice, rice-based breads, etc. She got better and I got fatter. My supposed seasonal allergies seemed to get better, though. Her allergies all but disappeared. No more stomach problems, no more daily allergy medications (4/day previously) and she has grown taller! She can eat dairy now, too. I saw firsthand how diet can have an extreme effect on one's body. I was a believer watching my daughter recover from a decade of degrading health because the wrong foods were killing her. Why am I writing in now? Because as a mature adult with PCOS, I've always known I needed to worry about diabetes, cancer, and other negative health effects because of the stress PCOS puts on the body. 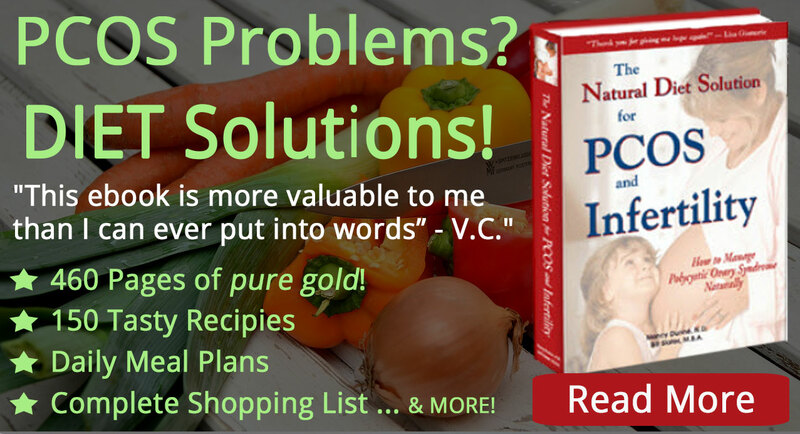 I've been a careful eater and intuitive about my body. I've tried low-carb diets before and been successful--in the short-term. I've grown in the middle, though. My mom calls it "Fair, Fat, and Forty". Well, I was ready to try Glucophage again to avoid the threat of future disease and to alleviate PCOS symptoms, including excess hair growth, excess weight gain, lumpy-large breasts, radical hormonal swings, depression, acne, brittle nails, diminished libido, and more, I'm sure. I wanted to research the drug again before I started. 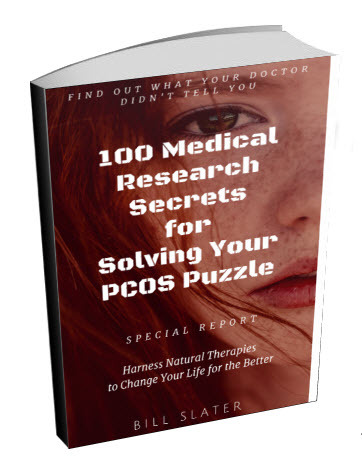 I wanted to know what were the long term benefits and risks that came from the 10 year study with women with PCOS. I never got that far! I stumbled upon the new diet proposed in your PCOS diet e-book and it spoke to me! 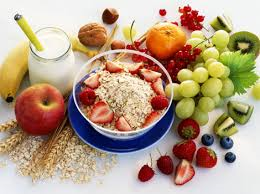 I started it the very next day and felt the effects of the change in diet within 48 hours! I've been on it for almost 4 weeks now and cannot tell you how wonderful it has made me feel. I'm motivated, energetic, focused, and committed. I am not suffering carb cravings, and my facial hair is starting to slow down a bit. I've lost almost 15 pounds. I'm not hungry, cranky, or depressed right now. My breasts are smaller and the lumps are going down. I'm walking often and feeling great about it. I've been in situations where I am surrounded by breads, pastries, cookies, processed foods, fried foods, etc. and not had any interest in eating them. That is amazing to me. I see the light at the end of the tunnel. I see a way to finding my healthy balance -- hormonal and otherwise. I'm not doing this to get pregnant, although if I'd known about it when I was 26, I would have gladly tried it then. I would have had more children I'm sure. But, I'm grateful for my one and look forward to watching her grow up healthy and happy. Maybe she has PCOS, too. 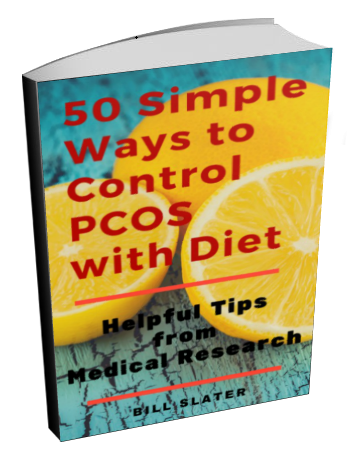 It's too soon to tell, but since she has always been such a healthy eater and open to changes in her diet, I'm sure she will manage just fine if she does have PCOS because I have the answer for her! This diet! No one could say that to me when I was her age! 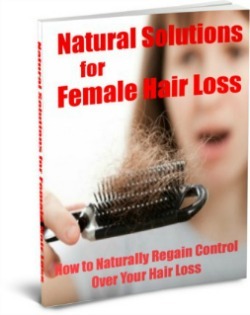 After almost 30 years of PCOS, as I said earlier, this is life altering for me. PCOS isn't just about not being able to conceive--as traumatic as that was for me. PCOS is a life-altering, potentially life-threatening disease (or syndrome if you prefer) that needs to be controlled throughout our lives. I'm looking forward to the next 40-50 years! I'll check back in after I've been doing this for a year, you can bet I will. What an amazing story! It has given me a boost! I started the "diet" 2 days ago! I'm am struggling a bit with the sugar but I know it will be well worth it not to give into my temptation! I'm 26 years old and have know that I might have PCOS for about 4 years know did TONS of research but didn't find anything that was as appealing as this diet! I gave had 3 miscarriages with the last one being in July '11. I had to come up with something because the pain of loosing yet another child is too much for me! Hubby and I have been ttc for 2.5+ years! Thank u so much for your comments! I am really serious about this and it's really helpful to hear others stories! I have about 115 lbs to loose and I'm really looking forward to it!!!! That's never been said out of my mouth before for ANY other diet! Thanks again!! I look forward to hearing about your progress!!! !